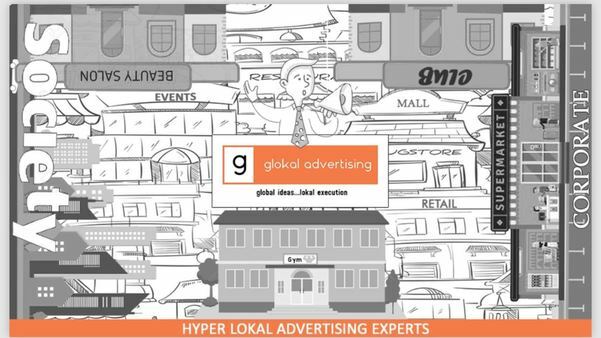 Glokal Advertising is a hyper local advertising agency based out of Mumbai. We are mapping out of the box non traditional mediums for advertising and allowing our clients to directly interact with their potential customers. Currently we are operating more than 15 cities including all metros. We are effectively providing support for Society Advertising, Corporate Park Activations, Mall Activations, Petrol Pump Activities and lot of other non traditional BTL.